Sharing the gospel with over 2 billion oral learners amongst the unreached people groups. 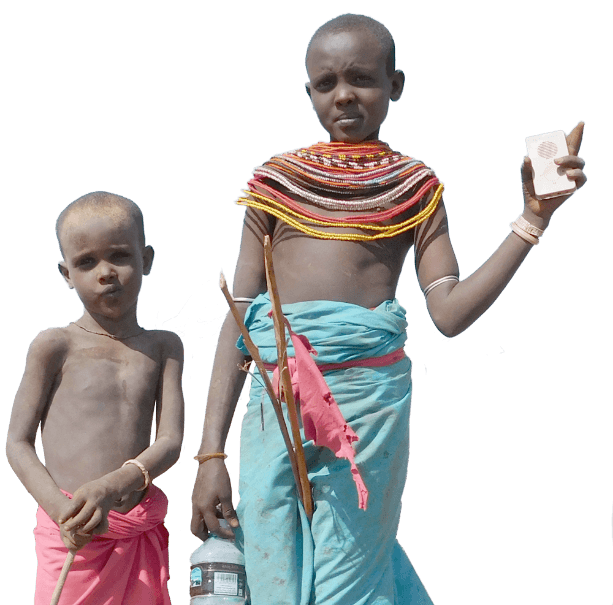 World Mission delivers the Word of God in audio format to oral learners living in unreached people groups. We believe that it is our responsibility as Christians to follow the Great Commission, “Therefore go and make disciples of all nations, baptizing them in the name of the Father and of the Son and of the Holy Spirit” (Matthew 28:19-20). While it is always our desire to reach everyone, anywhere, we specifically focus our efforts on reaching the Unreached; those throughout the world who have never had the opportunity to hear the gospel and accept Jesus Christ. Prayerfully led by the Word of God and following the Holy Spirit’s leading, our ultimate objective is to fulfill the Great Commission by seeing the lost develop a meaningful relationship with Christ. We strive to be focused and disciplined; fulfilling our mission will always receive the best of our time, energy and resources. We seek to always maintain positive attitudes, building team members up and never speaking thoughtless words about one another. We believe the gospel is most effectively presented in a holistic context and that national leaders led by the Holy Spirit are the most effective ground laborers to implement our mission and engage unreached peoples. We welcome volunteers who are led to serve at World Mission and will provide a positive environment for them to use their gifts. We are His disciples, and we have a responsibility as Christians to reach out to all nations – regardless of race, language, or religion – delivering the gospel to those who would otherwise never hear it. The Unreached are unknowingly shielded from the Bible by numerous barriers throughout the world. In our efforts, we must move around or through the barriers, connecting in any way that we can. These barriers come in all forms, from language, landlocks, laws, poverty, war, and even other religions. In order to overcome these obstacles that have prevented the gospel from reaching communities throughout the world, we’ve developed a toolset. With modern technology, we have and will continue to overcome various barriers like language or a lack of access to electricity or modern communication. A solar-powered audio player designed to speak in over 6,000 languages. This audio player can hold up to 800 hours of audio material such as the Old and New Testament, God’s Story, the Story of Jesus, and other literature that teaches Christian values and ideals. 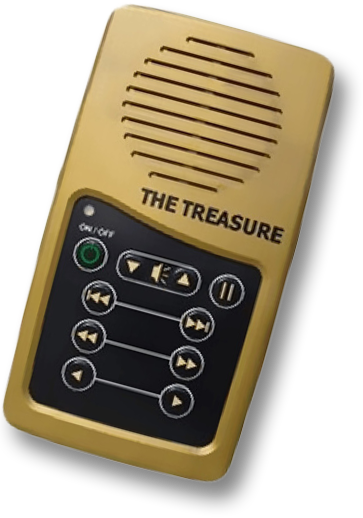 New languages for the Treasure are being added every day, helping us expand our reach. Completely self-contained units – projector, speakers, lithium battery and solar panels – to present the gospel via movies in remote areas. A solar-powered, portable media distribution system that allows users to create a full featured “digital library” from which gospel media can be shared on mobile devices in an off-the-grid environment without depending on internet access or electricity. A removable micro flash memory card for mobile devices that may contain the Bible and other Christian literature. SD cards are encrypted, making their content permanent. Once uploaded to a mobile device, users can share its content via Bluetooth and SMS messaging. Through our mission efforts, we encounter various groups of people and communities in need of our help. Without the faith and generosity of our donors, that help would not be possible. Whether the communities are recovering from a natural disaster, in need of medical assistance or clean water solutions — as Christians, we are called to ease their suffering while continuing to spread the Word of God. With that, we make humanitarian efforts a priority at World Mission wherever possible, as our capabilities allow. To help us help the world, we have developed several programs to ensure that we reach those in need with the proper and adequate relief. Our mission efforts focus on long-term implementation and absorption into communities throughout the world. In many circumstances, it’s not easy for societies to quickly accept Christ as their savior. It can take years of relationship-building and education before we reach our end-goal of leaving a community with an indigenous Christian church-planting movement; a standing house of worship with leadership to teach and spread the gospel. With the amount of time it takes to reach our end goal, and provide adequate relief through our humanitarian efforts, our involvement is always long-term (lasting years) rather than short-term. If you’d you liked to support a specific cause or relief effort, please contact email@worldmission.cc.